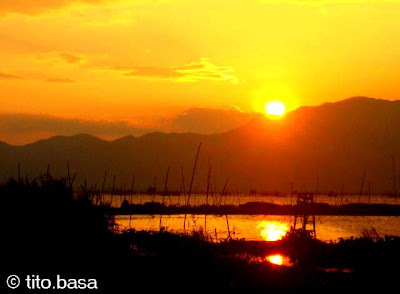 sunset over Rizal Province and Laguna de Bay. This picture is also the one used by the heartwarming slideshow A Parent's Wish available here. 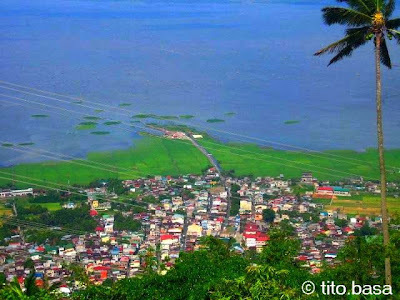 View of Paete town, the tail-end is where Wawa Park is located. 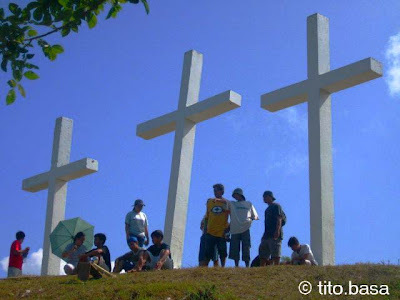 The 3 Crosses can be reached via a 45 minute trek through concrete steps from the town proper. Descent takes only about 15 minutes. "Over the hill" people can however reach the summit on a vehicle via a feeder road winding through the barrio of San Antonio, Kalayaan town. nice picture. 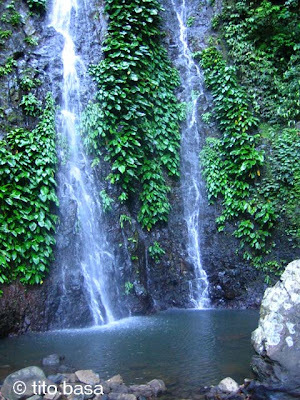 i hope though that that is not our old "talon" waterfalls whose volume of water flowing down was way much bigger than these present " trickles". thanks. 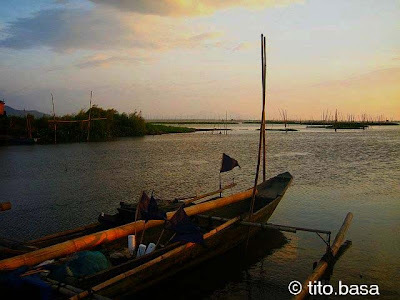 siyanga pala there's one more place in humarap where you can take a fantastic view of the town, it is called tanawan, slightly above the middle of the boondok. most town folks knew about it. love your pictures. it's nice to know that we still have picture perfect falls that side of town! i just hope that people are more aware of our environment, so as not to allow the destruction of God's wonders. nice pictures! Great pictures! I especially love that place with the three crosses. Very artistic shots. I love pictures of sunsets and also waterfalls. Love all your pictures -- fireworks, nature, sunset and waterfalls. All your pictures are beautiful, I'm speechless! That sunset shot is really cool. Postcard material!